You are the one who is sure that World of Warcraft is the most popular and perfect MMORPG? Well, we are going to disappoint you. 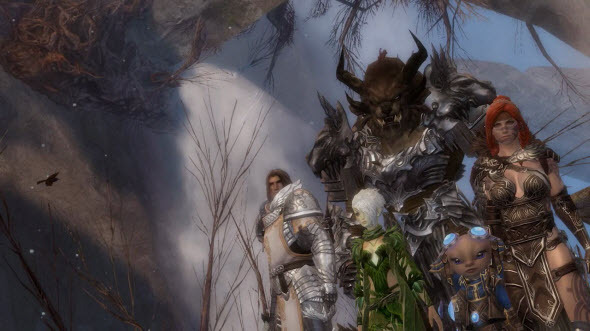 New Guild Wars 2 game is able to rival the world-wide wasting-your-time leader. 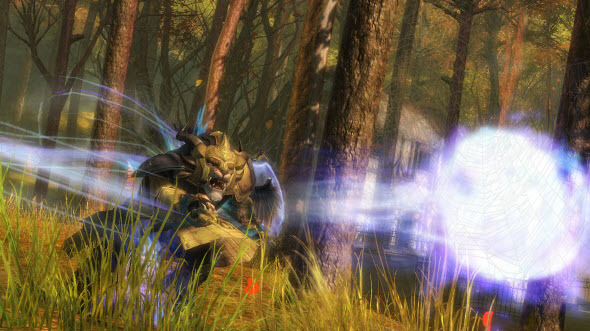 First version of Guild Wars became rather popular, and that's why many game's fans were waiting for its continuation. But new game is much more exciting, immense and interesting than the first one and perfectly developed. The events of Guild War 2 occurs 200 years after the first part's did. New continents, islands and lands appeared on the map this time, and the game's universe increased in size. Also there is one new force - dragons, that threaten the peaceful life of guilds. You will need to defend your land from dragons, and also fight against other players and non-playable characters. The fascinating world of fantasy, beautiful continents and epic battles is waiting for your first move, so let's start! 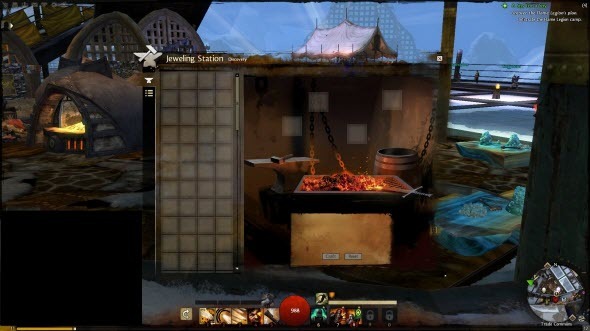 Guild Wars 2 is very diverse game, where you always have the right of choice. 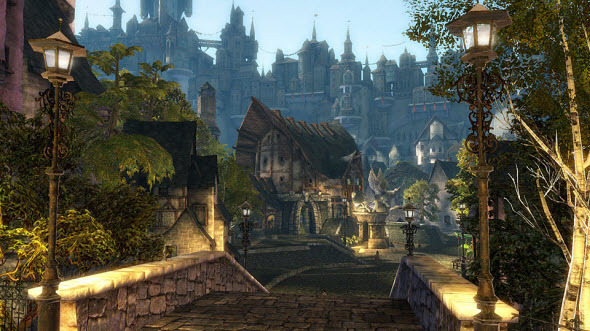 The variety of the game appears in the number of professions and races, in beautiful locations and in many unique missions and tasks. 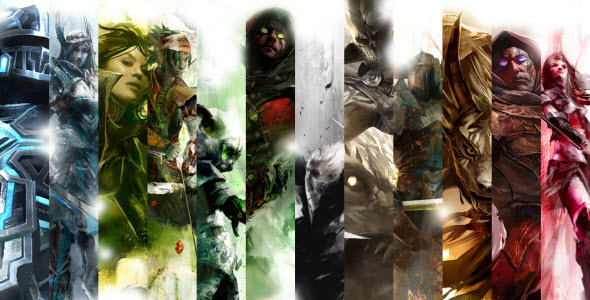 The developers rejected the traditional class division and allow gamers to build the character they want. First you need to choose one of the 5 races. Asura are small creatures with big ears, that are sure that to be strong means to be clever. They are perfect in crafting and magic. 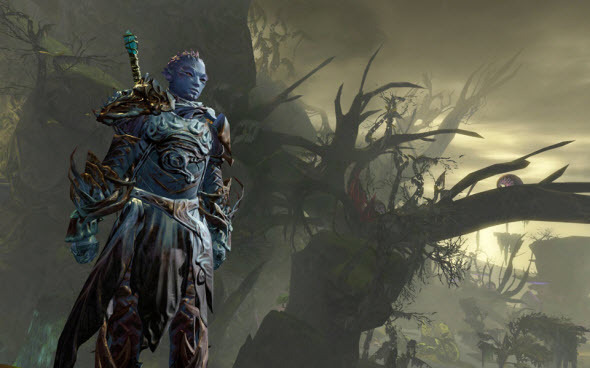 Sylvari are the tree's fairies with green skin and tattoos. They are not born, they have woken up and kept the memory of their pre-life dream. Humans have lost everything in Guild War universe, but still they are brave and desperate. This race is perfect in fighting. Norn is a very high hunter, that is sure that he must win every battle. This race is for warriors without fear and without reproach. And the last one race - charr - is fighting from the beginning of the time. They are very aggressive and so ugly, that can frighten anyone. After the race you have to choose the profession, that influence on your unique powers and skills. You can be enhancing Mesmer, brave Guardian, dark Necromancer, desperate Ranger, brilliant Elementalist, fearless Warrior, artful Thief or smart Engineer. And the last steps of personage's creation are some questions about his or her past. On the basis of these facts the story of your character will be built, and you will get your personal tasks and missions. It is important, that the events here are dynamic, and e any character, any move and any word can change everything. 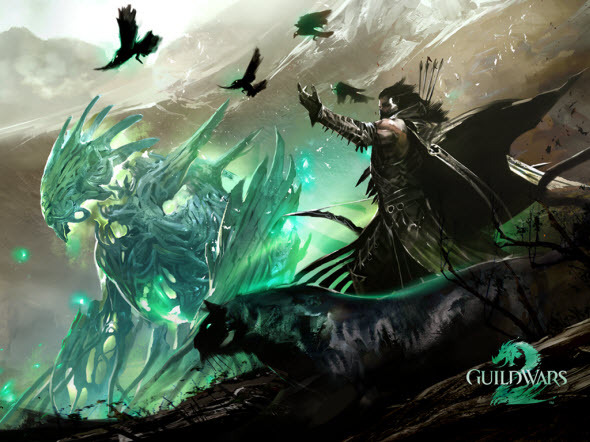 That's why it is so exciting to play Guild Wars 2, because every moment this game can impress and amaze you. But Guild Wars 2 game is not only for single players, it is much more interesting to play with your friends or random people. It is interesting that in PvP mode everyone is equal. So, you don't need to try to get a lot of experience before you can start fight against real people. Your trump cards are strategic thinking, artfulness and skillfulness. If you are going to fight with your friends, then the teamwork is very important. Be sure that your teammates supplement each other. Also here there is another large-scale mode - WvW. This mode is the war of servers, so hundreds of real people can take part in it. Unfortunately sometimes it is really hard to attend the WvW game, because you need to wait your turn for hours. If you are tired of combat, crafting is waiting for you. You can be jeweler, smith, inventor, currier and so on. Besides, you can get the experience while crafting, so to reach the highest level you may not to fight at all. And in the end we need to tell several words about the fascinating graphics of Guild War 2. The locations are different, colorful and interesting: you will visit the hot beaches with animated water and endless sands, snow-covered mountains and rich green valleys, dark and frightening dungeons and bright and colorful jungle. The game design is really perfect, but sometimes you will see small bugs with the environmental - for example, your character can stick. Also the bugs are possible at the beginning of the game - there were the login problem just after the release date and there are some issues with auction from time to time. But we are sure that these small problems won't damage your interest and will to play. By the way the game is very cheap - you don't need to pay fee each month, it is enough to buy the game once. Moreover, you can play without additional items, so your game can be totally free.